The larger or more skilled orcish assassins are called ‘Slayers’ by their enemies. 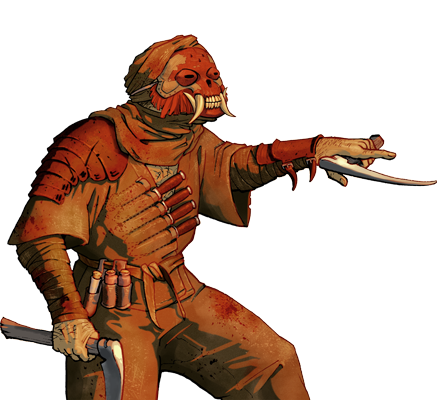 Slayers are fast on their feet, and quite nimble in combat, although they achieve that end by forgoing armor. Their weapon of choice, poison, is a vicious tool, and its common use on the battlefield is often the real cause of orcish supremacy.